← Hey there, Boo Boo! Update 7.28.14- A reader has notified me that this deal is no longer available at the Orland Park Granite City location. As the weather warms up and the busy baseball season is upon us, it is nice to be able to take a break from the kitchen and dine out. It is even nicer when the check comes and the kids have dined for free! That is the deal we came across at our local Granite City Food & Brewery. I was pleasantly surprised the first time I went in for lunch. The staff was friendly and the dining room was spotless. The menu had a vast variety of options to choose from. Think standard pub fare with a splash of steak house staples and a mixing of lighter California-style cuisine, making it the perfect place to please a crowd with different tastes. When I heard of their kids eat free special (after 5pm on Sundays), I couldn’t wait to give it a try again and went back in the following Sunday. We arrived at about 6pm and were seated immediately at a family sized booth with a view of the shiny stainless steel tanks in the brewery. My younger kids quickly became enthralled with their kids’ menu activities and the older guys were entertained by the ball game on the tv above our table. Our unsuspecting waiter came over promptly and took our drink orders. When he returned we placed our standard kids’ meal orders (2 chicken strips/fries and 1 cheeseburger/fries *all free*) for three of the kids and my eldest son ordered the Cheese Tortellini with marinara ($15). My husband decided to try the Grilled Portabella Melt ($9), which was excellent. It was served on herbed focaccia with red peppers, basil and a light balsamic dressing. I ordered the Asian Chicken Salad which was made up of grilled chicken breast tossed with lettuce, cilantro, cabbage, carrots, green onions, cucumbers, red peppers, wonton strips and sesame lime dressing ($11). For dessert, the kids had a small Oreo ice cream sundae ($1 each) which they all seemed to enjoy. My husband and I decided to be good and pass on dessert ourselves. One great thing about Granite City’s Kids Eat Free promotion is that they allow one free kids meal per adult meal purchased, even if the person eating the adult meal is a child. Some (most) places only offer a complimentary kids meal per actual adult dining. Some servers at Granite City do occasionally need to be reminded that they offer this promotion and I have had to insist, sternly, that one take the third kids’ meal off the check (while my husband sank lower and lower in his seat). I eventually emerged victorious as the server asked a manager if I was in fact correct about the promotion and it was confirmed. Check mate. Overall, we really enjoyed this dining experience and will definitely be making it a regular Sunday night out option. They offer this weekly special as well as many others. I am really loving this Kids Eat Free promotion and can’t wait to see which other local restaurants are offering this as well. 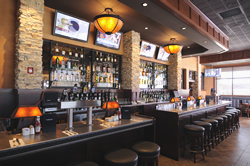 This entry was posted in Deals and Sales, Family, Food, Kids Eat Free!, Parenting, Recipes, Uncategorized and tagged Food, Granite City, Kids eat free, menu, Orland Park, Restaurant, Sunday. Bookmark the permalink. 4 Responses to Kids Eat Free at Granite City! Hey! If you have a coupon card that 3 local schools sold for a fund raiser this year, you can get your kid’s meal FREE every night of the week, too. 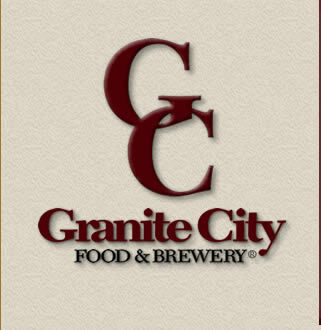 Granite City is so awesome to support our town like that. So, how was the beer????? Hey there! I do have the coupon card and have used it on different nights of the week as well. I hope that the businesses that supported the schools this year are getting a boost in business because of it. They are awesome and I am embarrassed to say that I have yet to sample the beer at this brewery. 🙂 I say we organize a tasting, are you in?